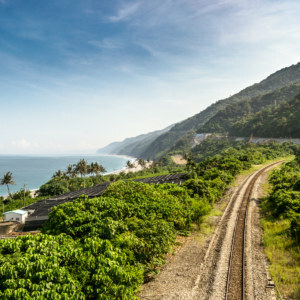 Tuberculosis remains the deadliest communicable disease in Taiwan, claiming approximately 600 lives per year, but great strides have been made in reducing its toll throughout the 20th century. 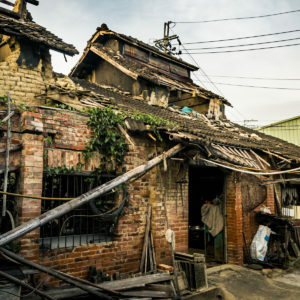 Nearly 5% of the population were afflicted by the disease in the late 1940s—and with an annual mortality rate of 3 in 1,000, it was also among the leading causes of death of any kind in post-war Taiwan. 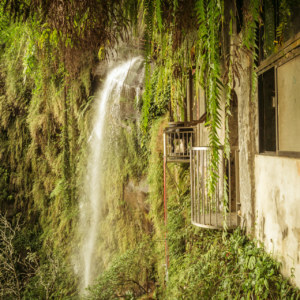 The disease was especially prevalent among the Taiwanese indigenous people of the remote mountainous interior, who simply couldn’t afford to see a doctor or purchase medicine (even if there were a clinic anywhere nearby). 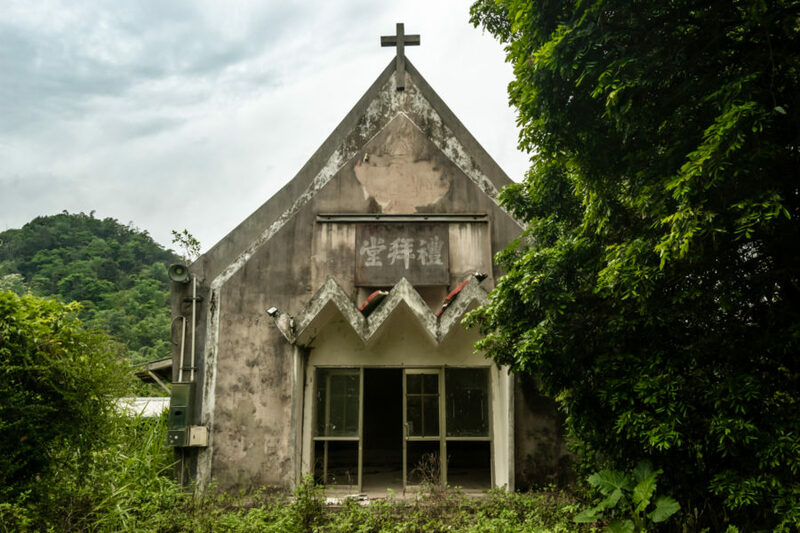 Christian missionary organizations went to great lengths to expand access to medical services in the late 1950s, founding numerous clinics and sanatoriums in indigenous areas all across Taiwan. 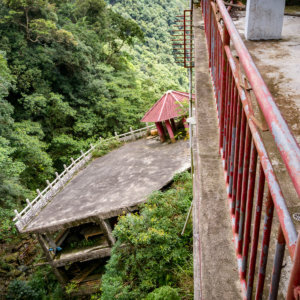 In 1957 this particular tuberculosis sanatorium was constructed next to a secluded lake on the outskirts of Pǔlǐ 埔里, Nántóu 南投, to provide free treatment and relief for people of the mountains. 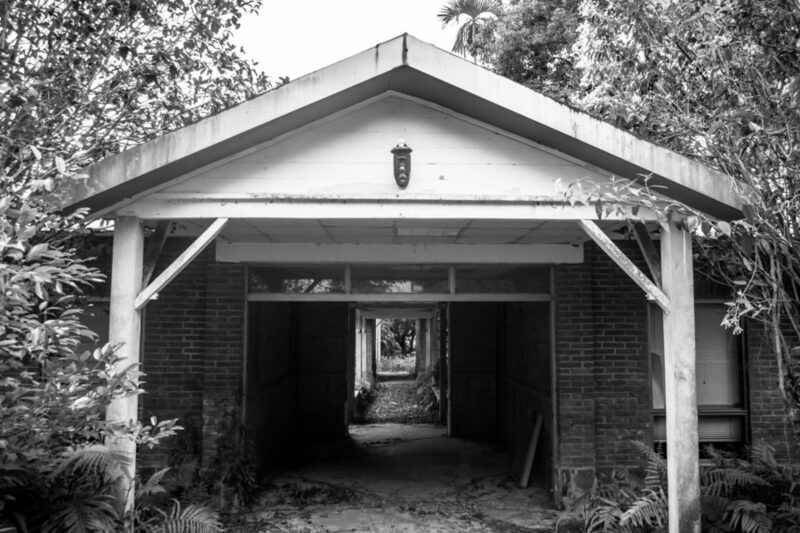 The next several decades saw great advances in healthcare in Taiwan and the sanatorium closed in 1980, its purpose fulfilled. 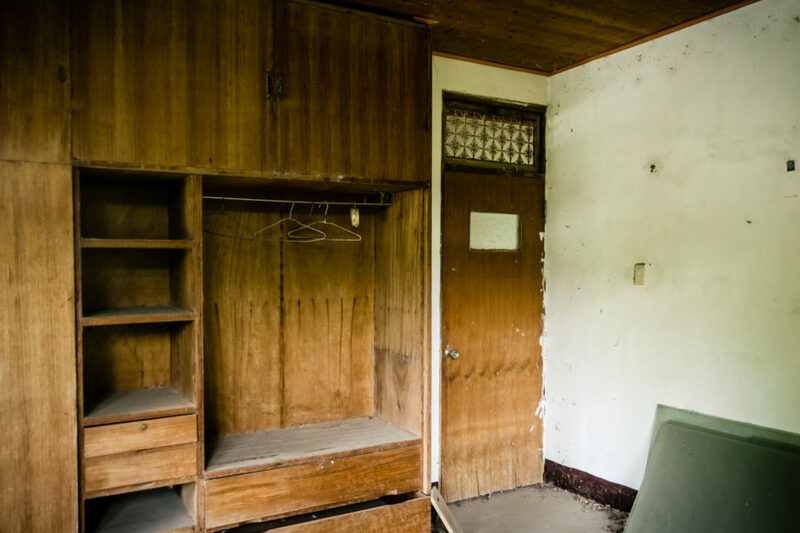 It reopened as a Presbyterian retreat center and campground in the late 1980s and was ultimately abandoned to the elements sometime in recent years. 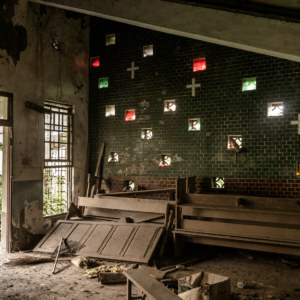 An abandoned chapel in the mountains of Nantou County. During the Japanese colonial era numerous public health initiatives were launched, including annual campaigns targeting tuberculosis. 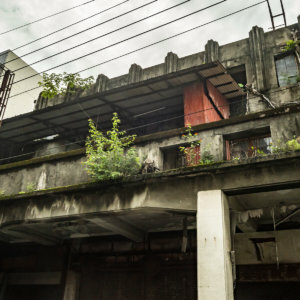 The first dedicated tuberculosis treatment center1 opened in Taipei 台北 in 1915, followed in 1942 by a second sanatorium2 in suburban Tainan 台南, but the vast majority of those suffering from the disease were treated in regular hospitals. 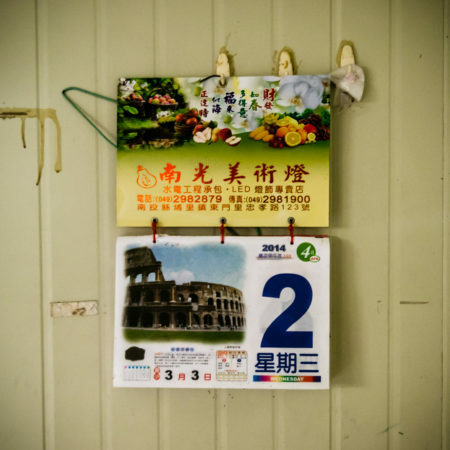 Tuberculosis surged in the post-war years due to the arrival of nearly two million soldiers and refugees from the Chinese Civil War, the ensuing housing crisis, and the disorganization of the incoming government. 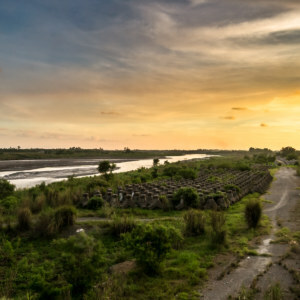 The situation only began to stabilize with an influx of foreign aid, participation in the World Health Organization, domestic production of the BCG vaccine, and widespread vaccination. 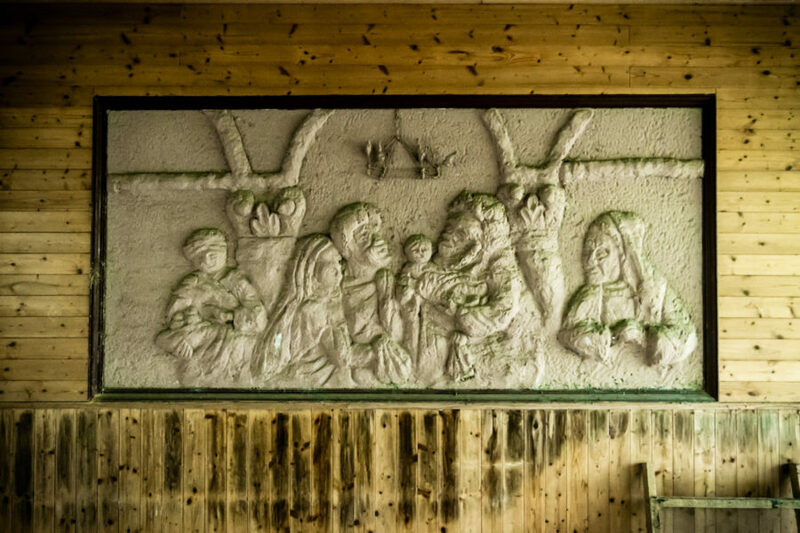 Despite remarkable progress throughout the 1960s the indigenous population of the central mountains continued to suffer from limited access to medical services3, and here is where the sustained efforts of Christian missionary organizations made their greatest impact4. 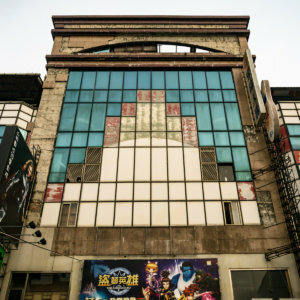 The austere sign over the entrance reads Lǐbàitáng 禮拜堂, or hall of worship. 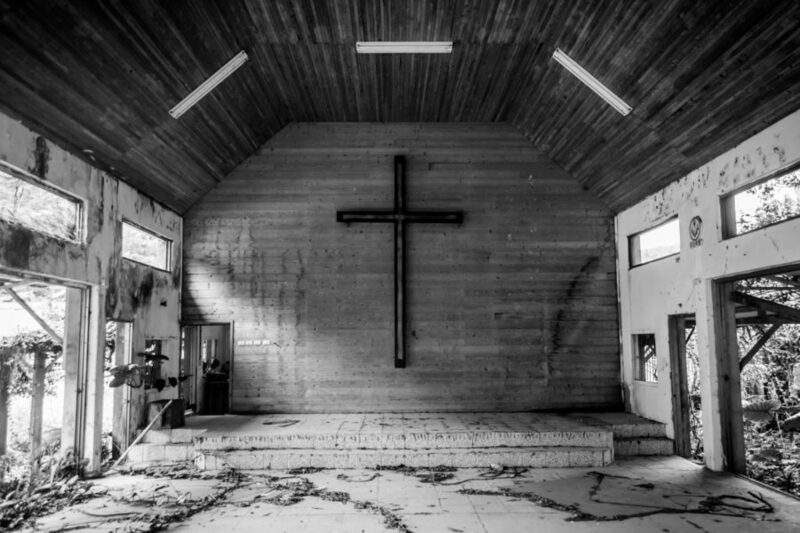 An empty chapel. No spirit dwells within it. 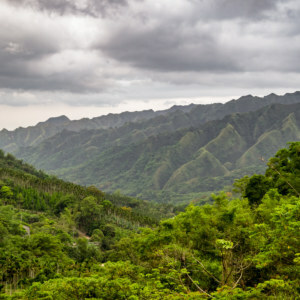 Lillian Dickson 孫理蓮, an American missionary, is widely honoured for her tireless efforts to improve the conditions of poor and disadvantaged people in Taiwan through Mustard Seed Inc., a non-profit organization founded in 1954. She was involved in an incredible number of charitable projects: clinics, hospitals, youth maternity homes, orphanages, schools and kindergartens, and more5. 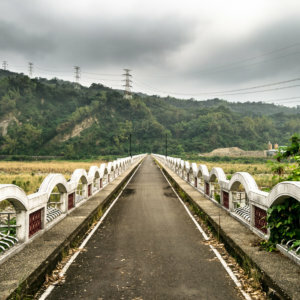 With the help of funding from World Vision International she founded what would later become the Puli Christian Hospital 埔里基督教醫院 and a wide variety of related public health and social welfare projects in the Puli Basin 埔里盆地 in 1955. 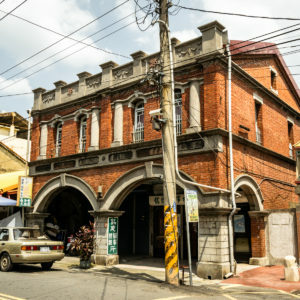 Hsieh Wei 謝緯 (pinyin: Xiè Wěi), a Christian pastor and physician from Nántóu City 南投市, was the first superintendent of the aforementioned hospital, and also oversaw the construction and operation of the red brick sanatorium featured in this post, one of several sponsored by Mustard Seed6. 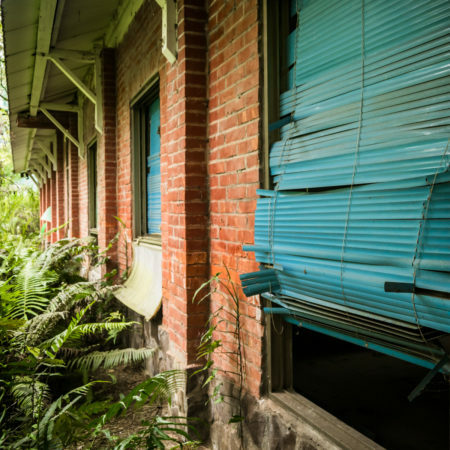 The sanatorium could accommodate 50 to 60 adult patients at any one time, and in a few short years a second sanatorium was built on an adjacent site to provide treatment for the indigenous people of the lowlands. 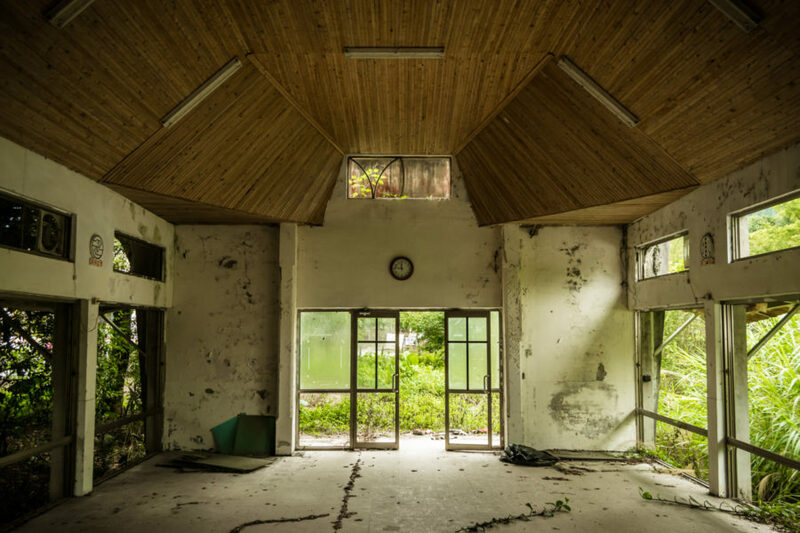 Hsieh was completely dedicated to his work7, shuttling back and forth between several clinics and hospitals across central Taiwan, taking almost no time to rest, and perished in a tragic automobile accident while en route to his clinic in Èrlín 二林, Changhua 彰化, in 1970. 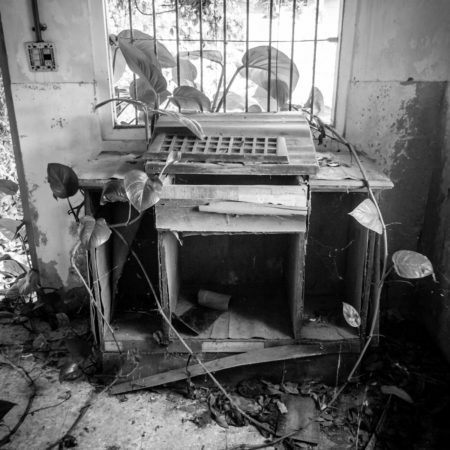 His brother administered the sanatorium for the following decade before the sanatorium closed. 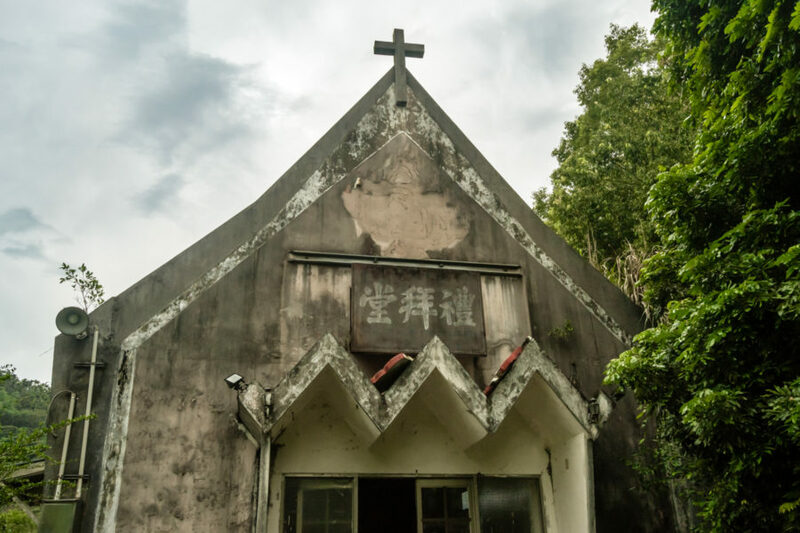 Ownership of the land passed to the Presbyterian Church in Taiwan8, and after several idle years it reopened as the Hsieh Wei Memorial Campground 謝緯紀年松年營地. The old chapel from where the podium would have been. At first I thought this was Noah’s Ark, but no, it’s a page out of history. Entrance to the old red brick sanatorium. 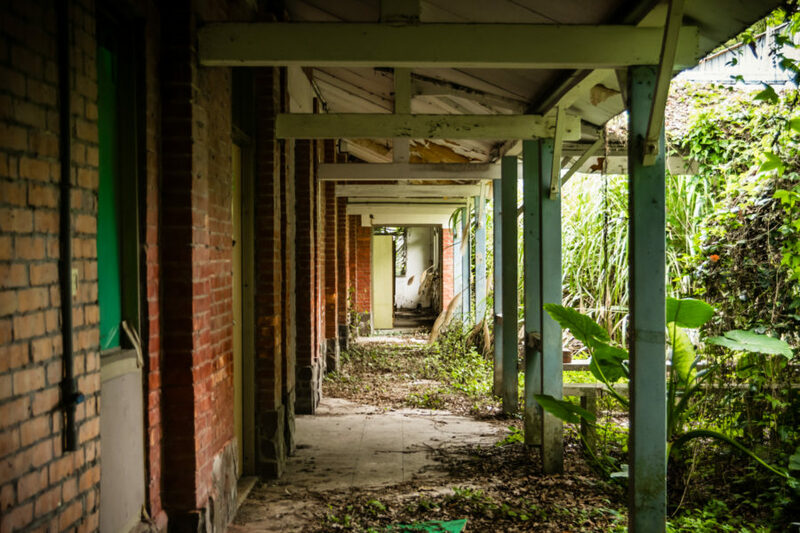 Stalking the corridors of a historic tuberculosis sanatorium in the mountains of Nantou County, Taiwan. As usual, I was completely unaware of this hidden history when I visited the grounds of the old sanatorium in the summer of 2017. I was invited there by a Taiwanese friend who happened to have returned home to Puli while I was visiting for a few days, part of an extensive road trip that summer. One afternoon he asked if I’d like to check out some abandoned places in the area so I said sure, why not? We met up in town and headed northeast into the mountains. After arriving and slipping over the fence we figured this place might have been a school of some kind. 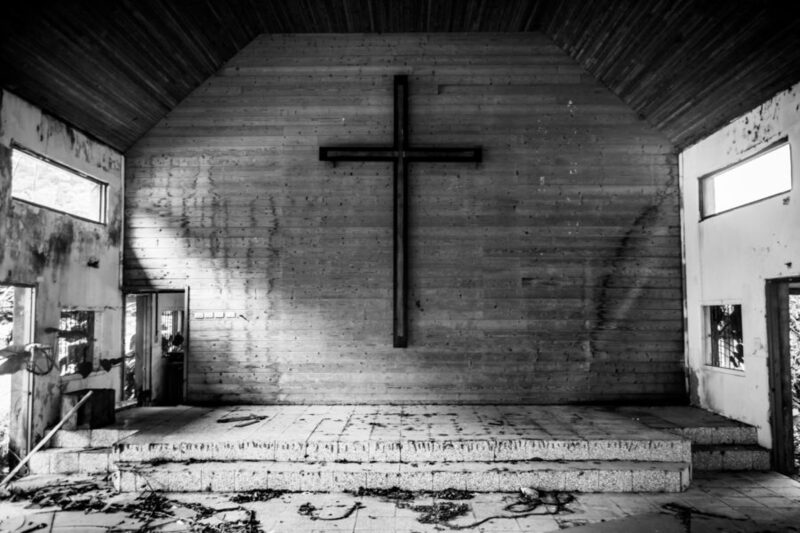 From the presence of the chapel it was obvious this was a Christian facility of some kind—but neither of us had any clue that it was originally a tuberculosis sanatorium. 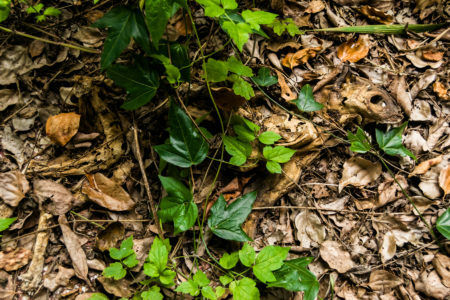 It wasn’t until I began conducting research into the area that I stumbled upon its original purpose. 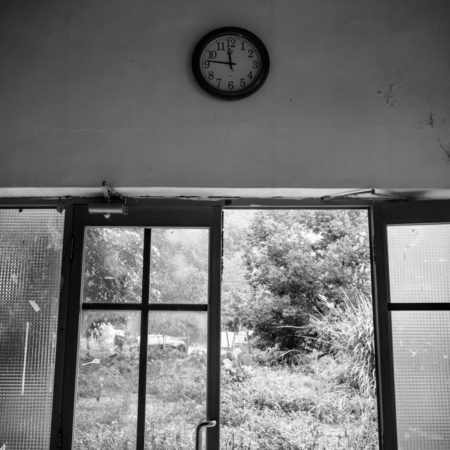 Stalking the corridors of the overgrown sanatorium. Broken blinds and red brick. 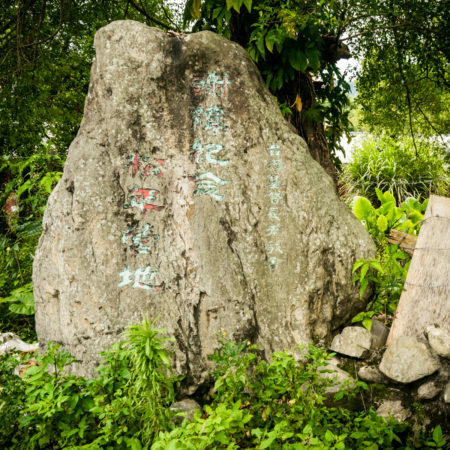 The marker stone out front. 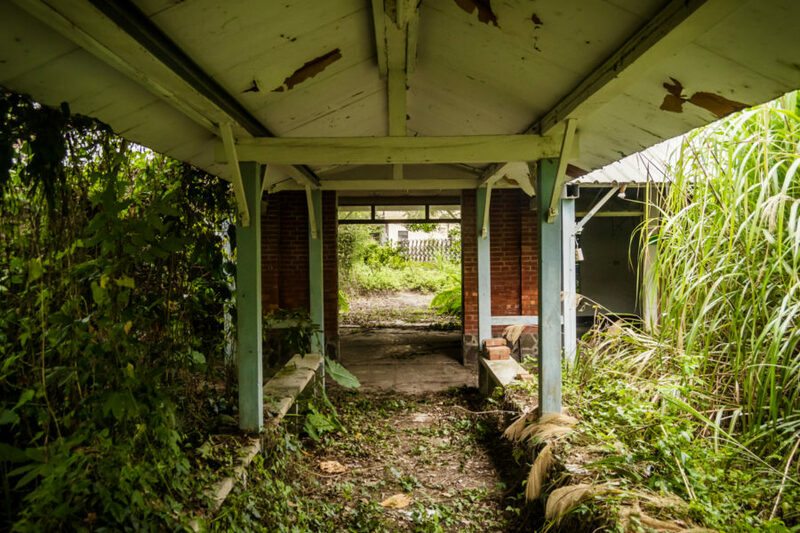 This sanatorium is not the most visually impressive site I’ve documented but, as one of the last of its kind, I would argue it has relatively high historic value. 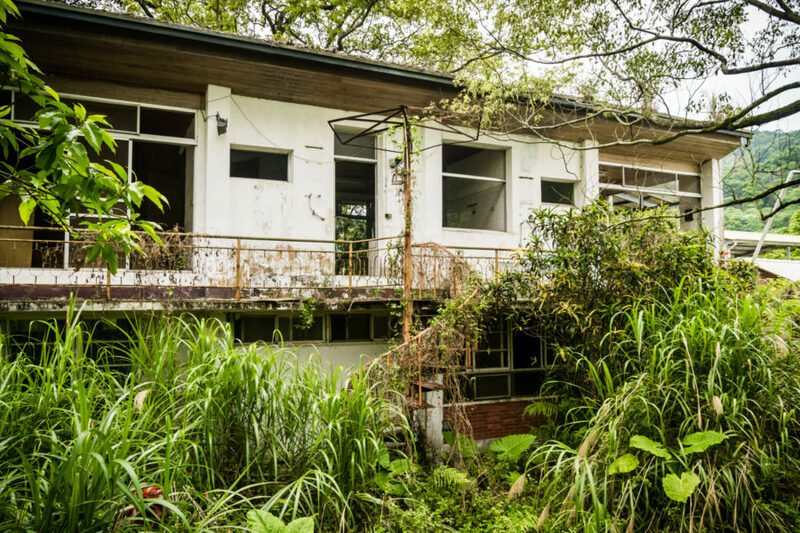 Most of the other post-war sanatoriums I’ve researched appear to have been demolished—with one exception in Hualien that I hope to visit some day. 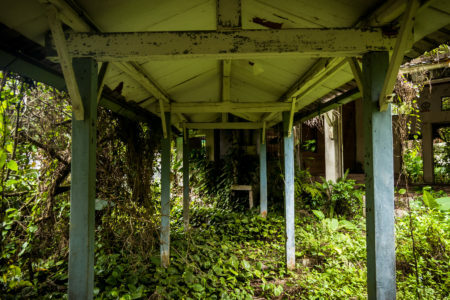 Hopefully someone at the church will give some thought to how the old sanatorium might be restored and reused. 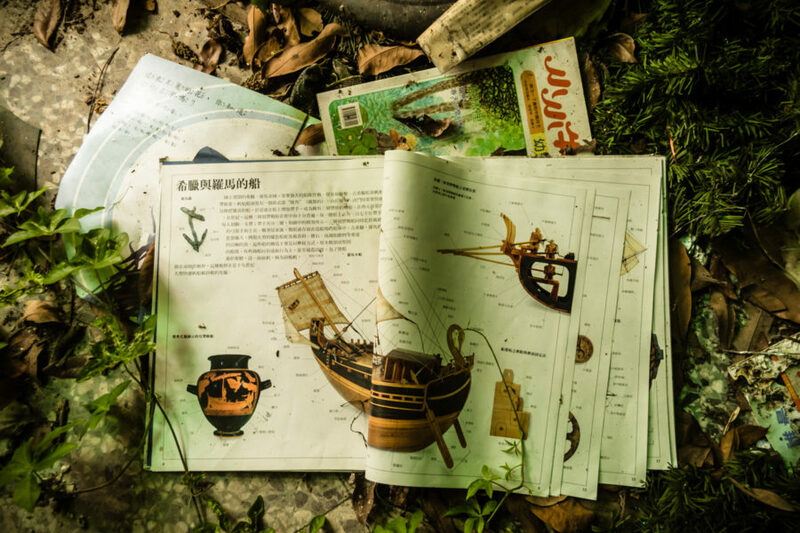 Its role in the public health history of Taiwan might be small, but hundreds if not thousands of lives were affected by the charity and sacrifice of many people involved in its funding and operation. May its legacy be remembered.